There was a moment in mid-February when it looked like the charity sector might implode. 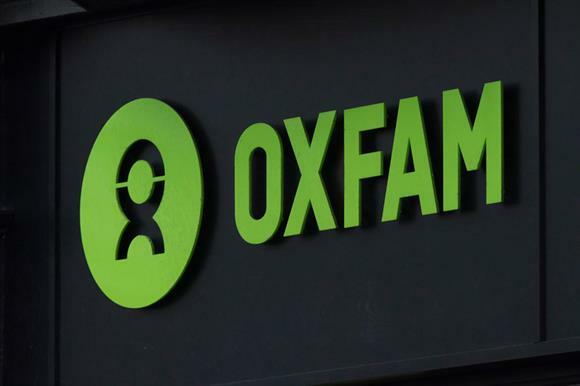 National newspapers were speculating that Oxfam could collapse and an ever-growing number of large charities, mainly international organisations, were being implicated in their own sexual exploitation scandals. Now the initial storm has died down, what will be the long-term implications for the sector? Looking to the past shows that the public has remained remarkably committed to the charity sector and has stuck with it through previously dark times. In 2015, the charity sector was heavily criticised after national newspaper investigations revealed that some charities and their fundraising agencies had bombarded vulnerable old people with requests for donations. A total of 13 charities were later fined by the Information Commissioner for misusing donors’ data and for carrying out "wealth screening". But despite the furore over the fundraising scandal, Third Sector’s report Donating Trends 2016, based on a survey of 2,000 members of the public in the year after the fundraising scandal broke, showed that negative news stories about charities did not change most people’s perceptions about charities as a whole. The majority of respondents (54 per cent) said the stories made no difference to their views and 64 per cent said that negative articles in the media did not make any difference to the likelihood of them donating. In fact, people have consistently told Donating Trends researchers that the three issues likely to reduce trust in charities are being pressurised to donate, fundraisers knocking on their doors and a charity not saying how its money is spent. The Charities Aid Foundation’s UK Giving Report also indicates that the public tends to support the charity sector through difficult times. In its 2017 report, CAF estimated that the public donated £9.7bn to charities in 2016, compared with £9.6bn in 2015 when the fundraising scandal hit. The average median donation also went up to £18 in 2016 from £14 the year before. Of course, scandals of the past can never determine what will happen in the future, but a poll by Third Sector, carried out at the height of the crisis in February, suggests that the overall charity sector might not have been badly damaged by the recent coverage. Q2: Has recent news coverage changed your perception of any of the following charities? The poll of about 1,000 people, conducted by Harris Interactive on behalf of Third Sector, indicated that the immediate impact had largely been on Oxfam and international aid organisations, rather than the broader charity sector (see bar chart, above). When asked if the recent crisis had changed their perceptions of charities in general, 61 per cent said it had made no difference. However, 72 per cent said they now had a slightly or much more negative opinion of Oxfam. Daniel Fluskey, head of policy and research at the Institute of Fundraising, is one of those who believe the crisis is most likely to hit those directly implicated, rather than the broader charity sector. "If you imagine a big pond that’s the charity sector and you throw in a stone: where you see a stone hit the water that would be Oxfam," he says. "But as the ripples go out, they diminish. The negative coverage might affect the public’s view of other international aid organisations, but as you get further away those ripples get less and less. I would be extremely surprised if people started to say ‘I don’t want to give to the RSPB or the National Trust or smaller organisations’." Nevertheless, Fluskey adds, that’s not to say those people who are donating to charities won’t be conscious of what has happened to Oxfam and other charities, and they are likely to be more questioning. "It will be in people’s minds, but it might not necessarily affect their donations," he says. But all charities, irrespective of their cause areas, should be thinking about how they can put their supporters’ minds at ease after the recent scandal, says Fluskey. This should include making use of their newsletters to tell supporters about their own practices. "They could make it clear that they have whistleblowing policies and internal procedures in place," he says. "Just because you have not been directly implicated does not mean that supporters might not have questions in their minds. It’s better to be up front than leave questions unanswered." He cautions, however, against any thinking that the latest scandals might lead to a crisis in charitable giving. "We have seen public trust levels fall before, but that does not seem to correspond with dips in giving," he says. Giving data, Fluskey says, shows that "when things go wrong people give charities the chance to put them right. They don’t just walk away." But he adds that charities should never be complacent. CAF’s UK Giving Report 2017 analysed giving data going back to 2005, largely to measure the potential impact on giving of the decision to leave the European Union. Ben Russell, director of communications at CAF, says its data showed giving was "amazingly consistent, even in the face of big external events". He adds: "We very much hope there won’t be an overall effect on giving [as a result of the Oxfam crisis]. We’ll have to see how the surveys pan out over the next few months, but history seems to show giving is a consistent and enduring thing." Jane Ide, chief executive of the local infrastructure body Navca, which represents a network of about 200 local and community groups, says that initial feedback from her members would seem to indicate that they have not been adversely affected by the scandal. "There’s certainly not a sense this is having a direct impact on them," she says. "Equally, however, we don’t want to be complacent and say that this is just about overseas organisations and has nothing to do with us, because that’s not the case." The crisis has opened up opportunities to have broader debates with the public about the role of charities, she says. For example, some of her members have been interviewed by local media about the Oxfam scandal, giving them an opportunity to remind people about the role local charities play in communities. It has also allowed them to address the misconception that most charities are now large: only 3 per cent of charities in England and Wales have incomes of more than £1m. "It’s important to keep reminding people that there are far more small charities than big ones," Ide says. "They also touch far more people’s lives proportionally than the big ones do, but they get a tiny percentage of the funding." Nevertheless, she says it is important smaller charities do not "bash big charities" because they do an "amazing job". The crisis has also thrown a spotlight on the need for charities to spend money on overheads such as safeguarding procedures. Ide believes it should open up an opportunity to have "adult conversations" with commissioners, funders and the public about the importance of funding charities adequately. "You cannot run an effective organisation if you’re forced to make a choice between delivering a service or paying for the overheads," she says. "If you do, you end up with people who are overstretched and not supported properly."